Thurman says a fight with Spence should be with at least three world titles on the line. “Now, like I said, I’m humble, but I’m also honest. I’m a man of my word. So it doesn’t matter how many years ago that was that I said it, but from that day to this day it’s a true statement. We will fight. It’s not going nowhere. But I got here before you, pimp. I made it to the top, I got here before you. It’s called priorities. This is my career, your career, but we will meet. And like I been telling you guys who are like ‘when, when, when, when, when?’ but I have the WBA, I had the WBC — it woulda been nice to defend the accomplishments and then reach back out and reunify. Errol Spence, however, seemed to have caught wind of Thurman’s talk during his media day and didn’t think he was being particularly honest in his statements…. 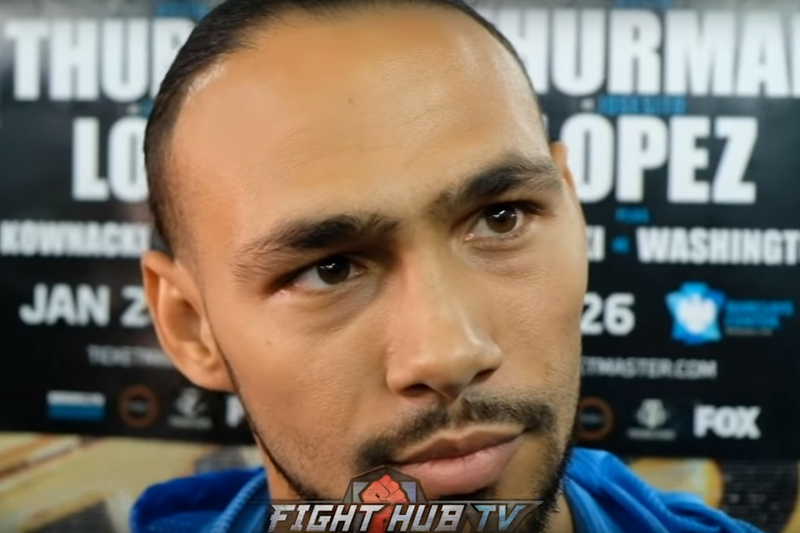 Oml the energy Thurman have doing interviews for these reporters don’t be the same when hes talking to me from his choice of words to how he conduct himself ..